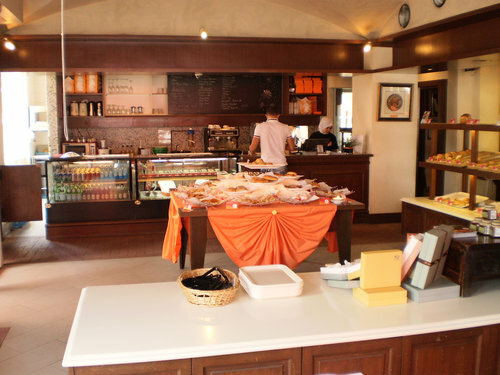 The Loaf is a premier bakery in the island and also doubles up as a bistro offering a comprehensive western ala-carte menu for breakfast, lunch and dinner. 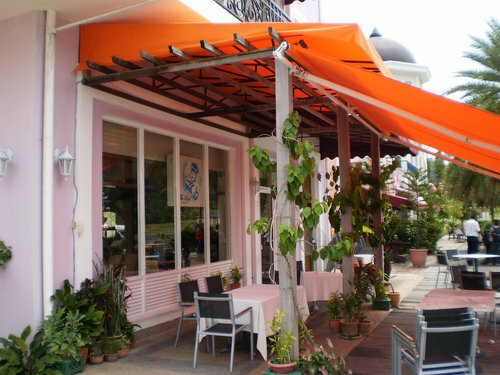 The first and the original outlet started in 2006 which is located at the Perdana Quay in Telaga Harbor Park. Subsequently they have opened up several outlets in different places in Malaysia. A second outlet has come up recently in Langkawi in Cenang Mall at Pantai Cenang. At the core, The Loaf is a bakery which produces excellent handmade bakery products like bread, pastries, cookies and jams using traditional but complex Japanese methods. They have been using chemical free and high quality ingredients that are both imported and locally sourced. The main outlet at Perdana Quay is on the boardwalk and facing the harbor. It has both indoor and out door seating. But during the day time, the air-conditioned comfort inside would draw most of the guests indoor and fill up the seats. As you walk in through the door, there are sofas at the right corner. Those are the first seats to get grabbed. However the outside seats offer wonderful view of the water and activities on the boardwalk. Ideal in the evenings. There is a glass counter inside with many different types of breads, cakes and pastries on display. You can either go down to the glass counter and get stuff for yourself, or just take a seat and let the waiter take your order. The service is quite good and friendly. The ambience is relaxed and very comfortable. The toilet is also clean and well maintained. In breads you get different types of brioche, butter rolls, croissants, quiche & tart, semi hard bread, hard bread and soft breads. They come with wide range of flavors and preparations. Some of our favorites are tuna puff, cheese onion cashew nut, and of course the great garlic bread. In cakes & pastries there are different varieties of Nama Rolls (fresh, moist, rich, creamy and fluffy rolls that come in five different flavors), chocolate pound cakes and mixed fruit pound cakes. And there are many different types of cookies like cocoa cookies, black or white sesame cookies, coconut cookies, marble cookies etc. And there are a number of small cakes on cups (priced between RM 3-4) with different flavors and with exotic looks. They are called Uhuhu. 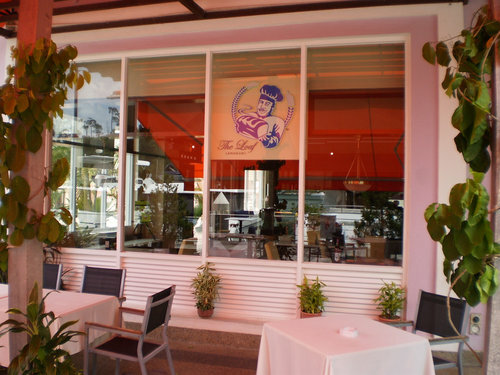 Well if you want to dine here, you will be surprised with the range of western and Italian dishes they serve. We love the food. In starters you have choices of salads or soups (approx RM18 - 25). Some of the great main courses are Slow Roasted Chicken Breast (RM38.00), Juicy Meatloaf Steak (RM 34.00), Peppercorn Salmon (RM 44.00), Lamb Chop Curry (RM 40.00), Rib Eye Steak (RM 50) etc. You can also choose from a range of Pastas like Carbonara (RM 32.00), Bolognaise (RM 28.00), Presto Pesto Pasta (RM 26.00), Chili Prawn (RM 32), Chicken Pasta (RM 28.00), Squid Ink Pasta (RM 32.00) etc. In dessert, you have choice of ice creams. But one of our personal favorites here is the Lava Cake (RM 18) and the Pan Pudding (RM 15). If you want to eat light, take a sandwich or a wrap. Daily from 10am to 10pm. There is also take away option. Update April 2018: The bakery franchise The Loaf (owned by Dr Mahathir Mohamad) was closed down... the reason sited was bad economy.